Free waffles and Wi-Fi in a locale near the convention center highway and golfing are some of the big pluses at the non-smoking Comfort Suites Visalia. The mid-rise Comfort Suites features 72 rooms offering free high-speed internet access coffeemakers microwaves mini-fridges hairdryers and cable TV with premium channels. Guests delight in the complimentary eggs meats and more served each morning. If unlimited coffee doesn't get you going try a workout in the fitness room or wake up slowly with a soak in the outdoor hot tub. Copy and fax services plus guest laundry facilities are also provided. 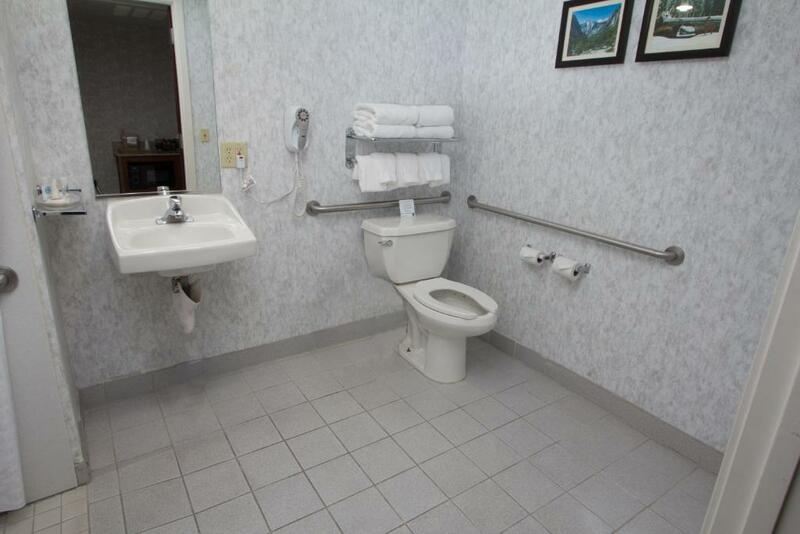 Situated off Highway 198 the Comfort Suites lies adjacent to the Visalia Convention Center in the heart of town. Nature lovers are less than one hour from Kings Canyon and Sequoia national parks. A round on the greens awaits two miles away at Visalia Golf Club or less than five miles south at Sierra View Golf Course. A six-mile drive west lands at Valley Oaks Golf Course as well as Visalia Municipal Airport. Fresno Yosemite International Airport is less than 50 miles south. For a sweet Sequoia stay offering free features and nearby golfing guests book the "super convenient" Comfort Suites Visalia.